So here's my seasonal wishlist for Aus which was actually much harder to slim down than I thought-there is a lot out there I could buy right now. As usual I've gone for simple, clean styles that can be mixed and matched throughout my wardrobe. 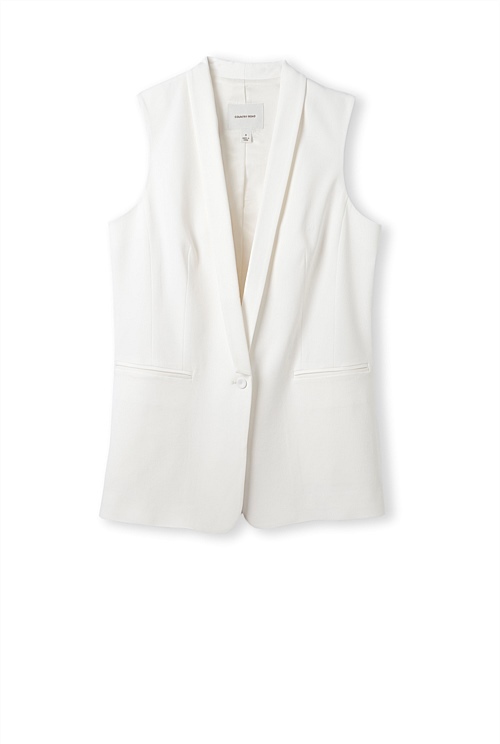 There's something about this updated version of the classic blazer that I am really drawn to. As you will come to know as you read this blog, I'm a big fan of dressed up style, dressed down, and this piece is a perfect example of that. 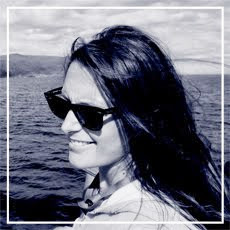 Don't get me wrong, I won't be abandoning my much-loved blazers anytime soon, but I will be thinking about incorporating a sleeveless version into my wardrobe this summer. I'm thinking denim cut-offs and python sandals, or for evening with some silky, black, pyjama style trousers (and python sandals). There's plenty of leather or pleather in the shops at the moment and my pick for the warmer months are these shorts from Seed Heritage. 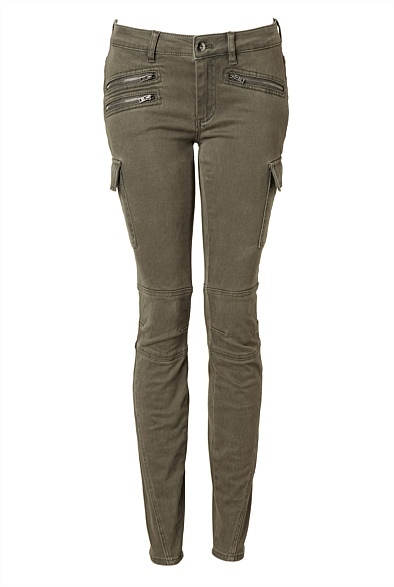 I love the relaxed fit which means they can be worn day or night. If you ask me, I'd keep it simple with flats on all occasions. Leather plus legs plus heels is a little OTT for my liking. I actually saw this in-store a few weeks ago in a gorgeous pale straw colour with cream/beige ribbon which I much prefer, but it doesn't seem to be online! 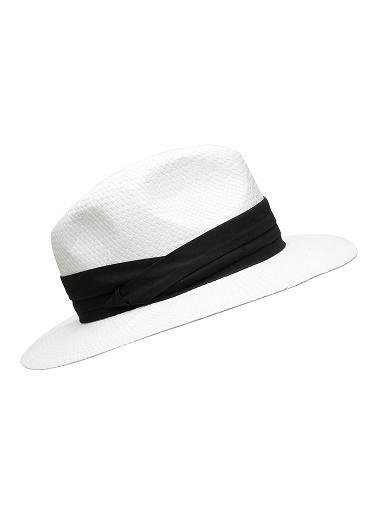 Either way a fedora/panama hat is always on my packing list for a summer holiday. I was a bit scared of them until a couple of years ago as hats can be quite daunting if you aren't used to them but if you try on a few styles to find one that suits you, I think you'll be pleasantly surprised! I bought these beauties a few weeks ago and have worn them non-stop ever since. I live in jeans at the weekend so it's refreshing to have something different to wear, plus the ankle-grazer length of these is perfect with ballet pumps for a cute not-quite-warm-enough-for-sandals-but-not-freezing-either look (you know what I mean). 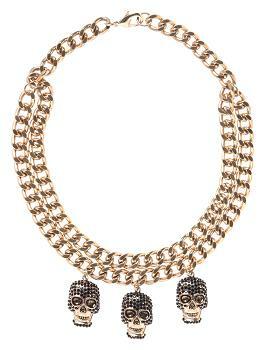 I also dressed them up with a tux blazer, heels and this necklace for Friday night drinks. Five years ago I couldn't go out without a big pair of statement earrings on, now-it's all about necklaces. I love the contrast of a casual look with the unexpected twinkle of an over-the-top piece of jewellery. Most weekends you'll find me in a plain, crew neck jumper and a chunky necklace. This one from French Connection is next on my wishlist! I had some pointy courts on my UK wishlist but seeing as they work for any season, I couldn't resist including these Witchery ones as well. 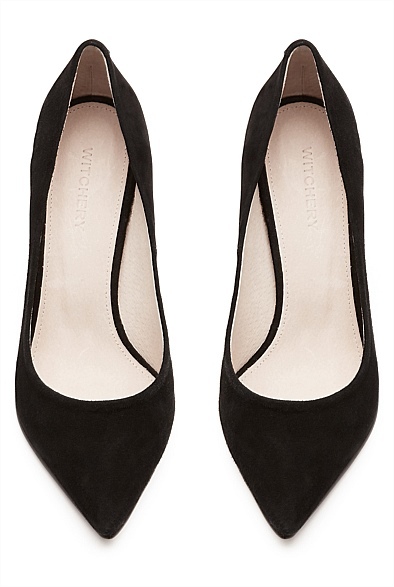 Black, suede and simple, these are a pretty fail-safe buy. I can also confirm that they are incredibly comfortable which I was not expecting! They have just the right amount of toe cleavage and personally, as much as Summer is all about colour, I think black against warm, bronzed skin is hard to beat.